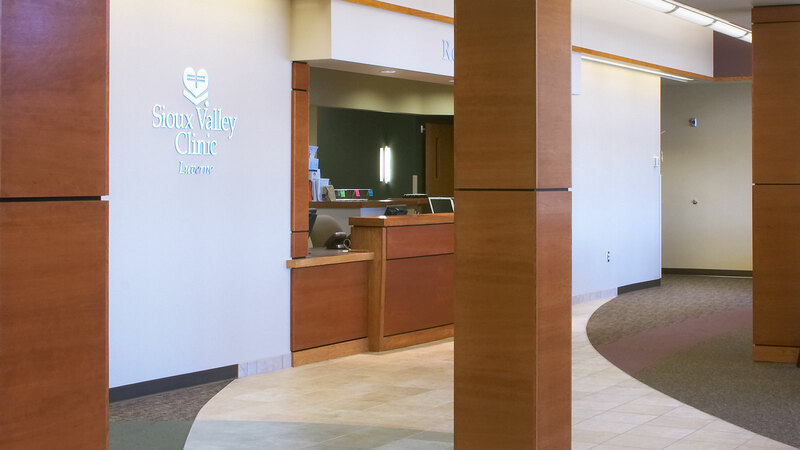 TSP designed this new medical center and clinic for Sanford Health’s legacy organization, Sioux Valley Hospitals & Health System. 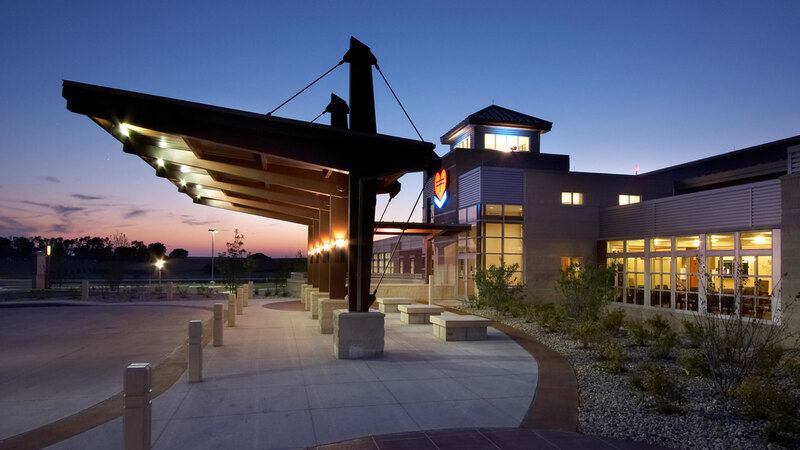 Completed in 2005, the project integrates current healthcare considerations including patient-focused care, sustainable design, and flexibility for future growth. The 25-bed facility also incorporates a local 10-physician family practice clinic with exam rooms for up to 12 specialty physicians. All departments are designed to expand without disruption and maintain a cohesive campus. 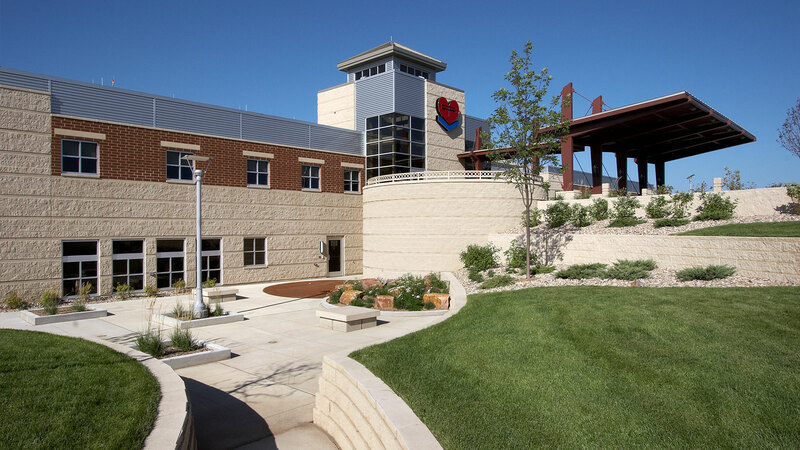 TSP’s designers used functional planning, color, and daylighting techniques to achieve hospital leaders’ vision for a modern facility. 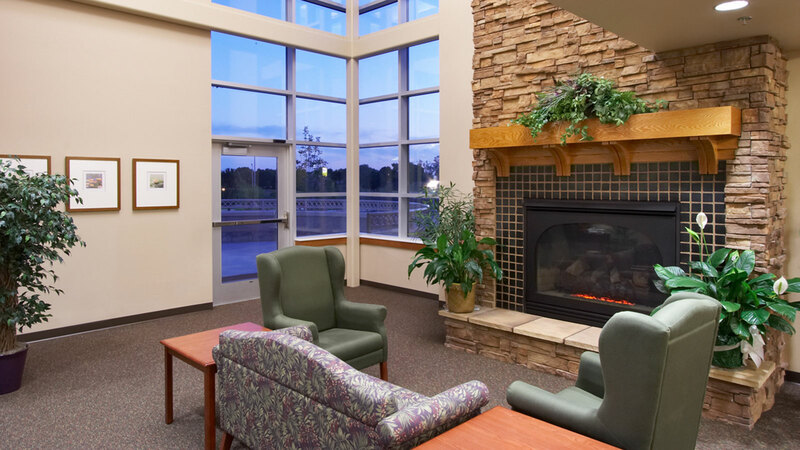 To create a serene space, ambient noise was eliminated using private patient rooms, limited overhead paging, separation of public spaces from patient spaces, and a meditation chapel. Point-of-care nursing occurs through decentralized nursing stations, allowing for quicker patient care and higher satisfaction ratings. Wayfinding techniques eased circulation issues for patients, family, and staff. Inside and out, the project design considered the environment. Native prairie grasses and wildflowers minimize water usage and establish a relationship with the surrounding farmland and grassland. Quartzite boulders and field stone were strategically placed on the site to continue the contextual relationship. A detention pond located at the main entrance controls storm water run-off and serves as a focal point. 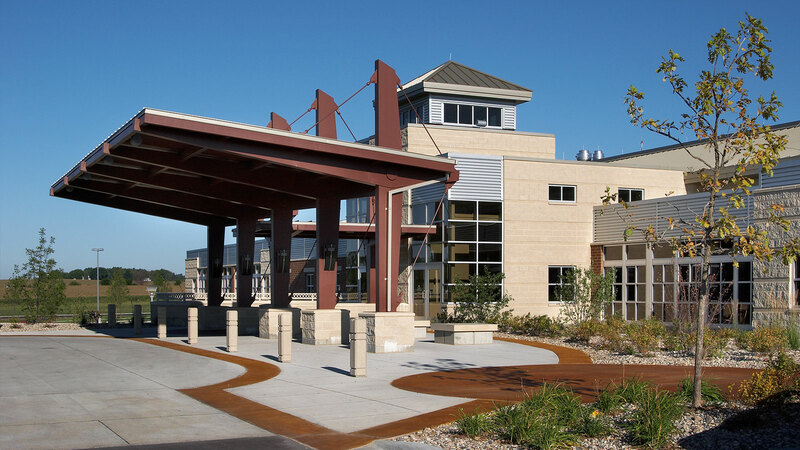 A walking path encircles the hospital and connects to the community bike path. This was important for patient and staff use, further contributing to the healing experience and promoting health and wellness. Regional building materials such as brick, cement, and aggregate were used. Use of local material reduced costs and continued the connection to the local environment. Inside, daylight filters through the building, providing a natural healing environment.